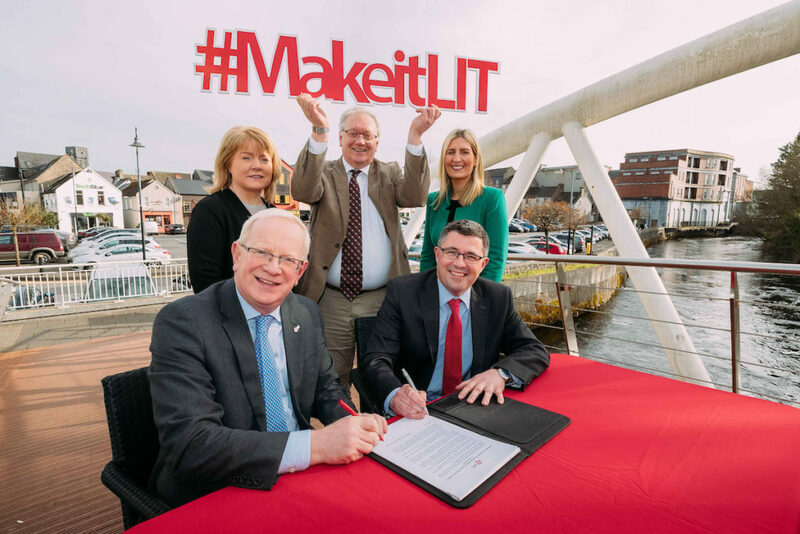 President of Limerick Institute of Technology, Professor Vincent Cunnane and Principal of Ennis College of Further Education Brian O’Donoghue along with (back) Marie O’Callaghan, Director ECFE, Terry Twomey Vice President Academic Affairs & Registrar and Yvonne Walsh Deputy Principal sign the agreement in Ennis this week allowing progression from ECFE to LIT, Ennis. Photograph by Eamon Ward. This website introduces you to our Further Education and Post-Leaving Certificate Courses. We hope that it will be of use in helping to decide between the many educational options that are available to you. Click here to view course details. If you decide to enrol in a course in our College, you will be taking the first steps on the road to a number of challenging and interesting careers. All of our Post-Leaving Certificate and Further Education Courses are very much related to the opportunities available today in the work place and all of these courses also serve as a basis for further study at third level. For example, many of our Accounting Technician graduates have gone on to secure good employment, even in these difficult times. All programmes qualify for national accreditation and a progression pathway to third level courses is provided through the Higher Education Links Scheme. Visit www.cao.ie to see the range of progression opportunities that exist. Through the further education route it is possible to get onto courses that require high CAO points without having those points in your Leaving Certificate. Indeed, information from the CAO indicated that the number of applicants that are offered and accept a place on presenting a QQI qualication has increased significantly from 599 in 2001 to 3,065 in 2012 (INOU website). Our courses are delivered by skilled teachers dedicated to helping you achieve your goals. The College environment encourages students to maximise potential. Students are facilitated to achieve the best possible results in a caring environment, which aims to develop the academic, vocational and personal skills needed in the work place and in life generally. Should you require any information beyond that obtainable on this website, please do not hesitate to contact the college.